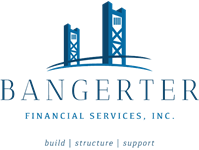 February 25, 2019 - Optimism Spurs a Broad Rally | Bangerter Financial Services, Inc. There were no surprises from the Federal Reserve's Board of Governors, who released the transcript from their January meeting on Tuesday. Investors pore over the meeting minutes looking for clues about the Fed's next move on short-term interest rates. Fed policymakers appeared split on what's next. Some felt another rate hike was needed to help slow the strong economy, while others favored a "wait-and-see" approach. The Dow Jones and Nasdaq have posted gains for nine straight weeks and are now at levels unseen since early November. Concerns over volatility have decreased, but that does not mean it is off the table. Whatever the market does in the coming weeks and months, remember your investing strategy should be based on your goals, risk tolerance, and time horizon. 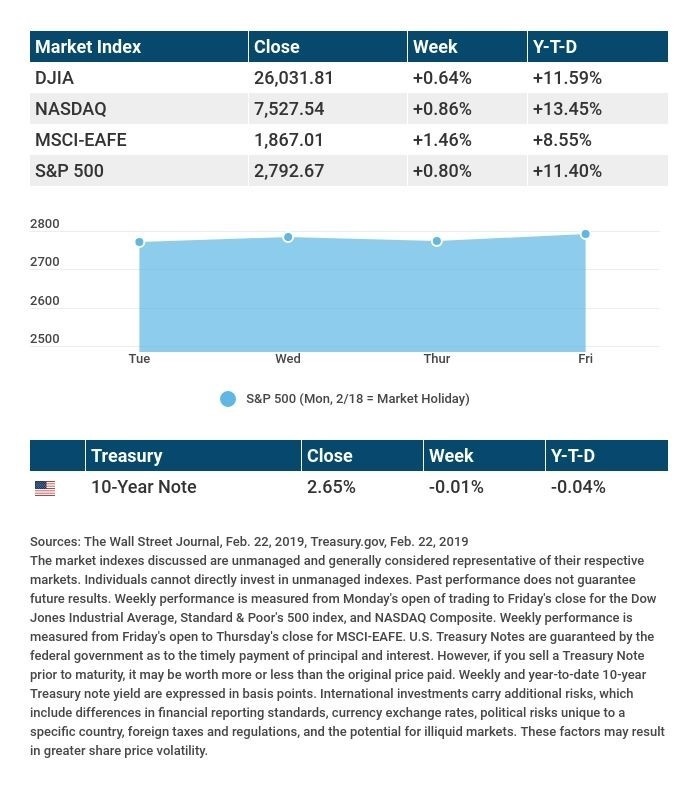 Source: Econoday / MarketWatch Calendar, February 22, 2019 The content is developed from sources believed to be providing accurate information. The forecasts or forward-looking statements are based on assumptions and may not materialize. The forecasts also are subject to revision. The release of data may be delayed without notice for a variety of reasons, including the shutdown of the government agency or change at the private institution that handles the material. Source: Morningstar.com, February 22, 2019 Companies mentioned are for informational purposes only. It should not be considered a solicitation for the purchase or sale of the securities. Any investment should be consistent with your objectives, time frame and risk tolerance. The return and principal value of investments will fluctuate as market conditions change. When sold, investments may be worth more or less than their original cost. Companies may reschedule when they report earnings without notice.